Yeah! We’ve hit 4000 visits to the blog! That might be small potatoes to some people, but it makes me very happy. Thanks everyone!!!! So apparently after pouring your heart and soul into writing a book for years, then struggling years more to find an agent and publisher, its likely some historical fiction aficionado will pick up some detail inappropriate for your historical period that you missed in your exhaustive research and shout “Anachronism! Anachronism!” to the social media world. Yikes! As if this job wasn’t hard enough already. I’m sure there are anachronisms in my writing despite my years of research. Unless you have a time machine and can check things out personally there are bound to be errors. Even if you do have a time machine, how good are your powers of observation? And even if you get thing right, they might well seem wrong to our ears. 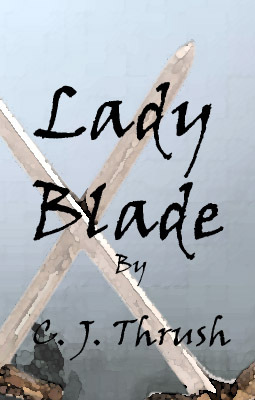 So to anyone who has a burning desire to wheedle out errors and shout them to the world, please don’t read Lady Blade when I finally get it published. It’s meant to be enjoyed. It’s meant to introduce you to characters that I love and a world I find fascinating. It’s meant to explore concepts of honor and right and wrong. My intent was never to accurately display my knowledge of a certain historical period – although I tried to do that as well. And if there is anyone out there with a time machine who has recently visited the 1720s, I’d love to buy you dinner and pick your brain. As a historical fiction writer you never know what creative endeavor you’ll be called on to complete. I just finished designing my own Italian villa. What fun! The prequel I’m working on is set in the hills of Tuscany in the early 1700s. The villa is home to my main character, Francesca DiCesare and her family. 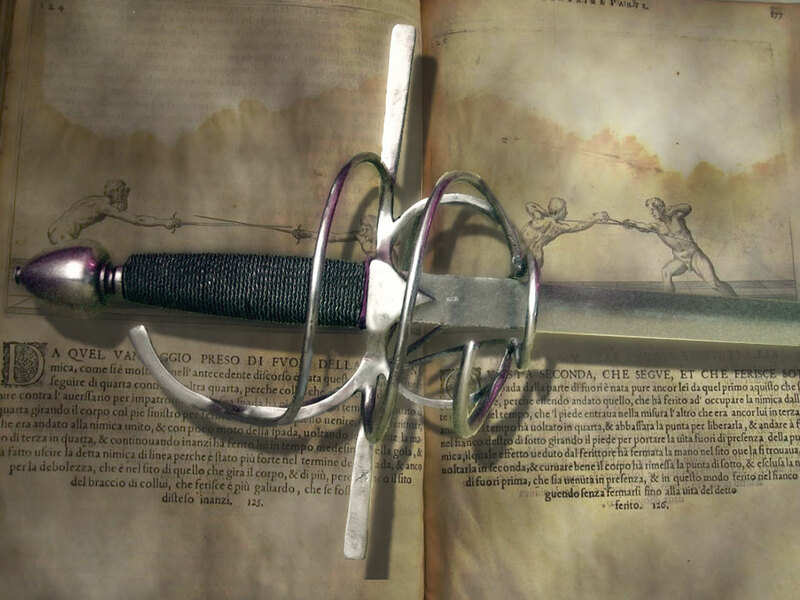 It also serves as Salle DiCesare, a famous Italian fencing school where Francesca’s father teaches young noblemen the art and science of the sword. As a writer, I needed to know practical things, like, if Francesca is sneaking out of her room to her brother’s room, which way does she go? What could she see – or not see – from her bedroom window. Are there back stairs she could use to sneak to the basement? I needed a map of her home to post next to my computer while writing so I can keep these things firmly in mind. But, where does one begin when designing a 1700s fencing school? I want to send a big thanks to Rebecca Kohn, Associate Librarian at San Jose State University Library and liaison to Art, Design, and Philosophy for helping me with that very question. I had hoped to start with floor plans of actual villas in Tuscany. You’d be surprised how difficult it is to find such a thing. Oh, there are tons of pictures, and I mean tons. After all, those villas are amazingly photogenic. 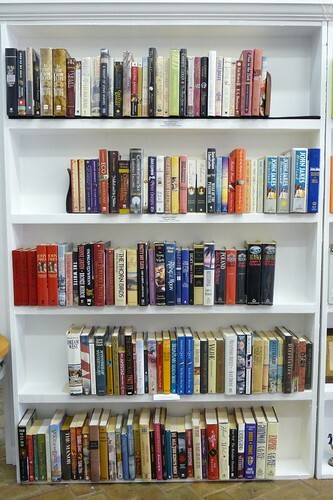 And lots of descriptions. But I couldn’t find actual floor plans and when I did come upon a rare floor plan it was generally only for the ground floor – the public spaces where parties were held and people were entertained. I could find nothing about the more private areas. Rebecca was a lifesaver. She pointed me first in the direction of the King Library in San Jose, where on the 7th floor I found some beautiful old books that had floor plans – but still only for ground floors. Then luckily, somewhere she found an article published by the University of California Press about Pratolino, a villa six miles north of Florence that included floor plans of the first two floors. Pratolino was built by Francesco I de’ Medici, Grand Duke of Tuscany. The designer of villa and gardens was his court architect- designer- mechanician- engineer Bernardo Buontalenti, who completed it in a single campaign that lasted from 1569 to 1581. Really, Pratalino was more of a castle than a villa in many ways. So using the floor plans as a base I was able to pare it down to a more moderate sized villa. I also used a free on-line translator program since the rooms were identified in Italian. I’m still not exactly sure what some of the rooms were used for, like the one that the translator called the “cave of the sponge.” Was that a sort of washroom or perhaps a sauna of some sort? Indoor bathrooms did not yet exist, so that one has me a little stumped. Still, the book I had found at the King Library came in handy since it had rooms in other villas labeled in English so at least I could see what types of rooms would be included. Once I sorted out the difference between a drawing-room, a sitting room, a study, and a parlor, I was all set. Now I have all three floors of my villa laid out – four, if you count the small tower. My rough drafts aren’t pretty. They are meant only to be a mental map for me. But if you’d like to see them, I’ve posted them here on my Lady Blade website. If I decide to use them in the book I’ll need to redraw them, or maybe find an architect student who’d be willing to draw some more accurate designs. And, of course, I still need to do the basement as well as the grounds – stable, servant quarters, smithy, gardens – both formal and kitchen, olive grove and vineyard. Ah, the work of a historical fiction writer is never done. But sometimes it is a whole heck of a lot of fun.